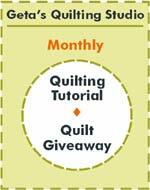 During 2016 I will be trying out different ideas from other quilters just to feed my own creativity and get new ideas. I will also be doing my own quilt patterns and mystery quilt patterns during the year. I usually do a mystery quilt in February and October. This year I will be doing a mystery in April and October due to other commitments. My first inspirations for the year come from Freddy Moran and Gwen Marston. and fell in love with their ideas. Especially the idea of LIBERATED QUILTING. 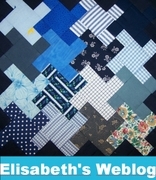 Gwen has written several other books on LIBERATED QUILTING ideas. Here are my first ventures. A Liberated Strips Halloween Quilt for Jake. (Fabric gifted to me by Clothworks.) Based on a quilt done for Freddy’s husband. A Liberated Frog House Quilt for David. A Liberated Log Cabin Elephants quilt for Hannah.